With a dream of sharing and highlighting about the glory and grandeur of Maharashtra from Films to Entertainment, Politics to Society, Entrepreneurship to Culture, this exclusive web platform of PLANET MARATHI was created. To bring the Who’s Who of Entertainment, Arts, Culture, History, Literature, Business, Politics and much more under one umbrella of Marathihood, PLANET MARATHI launched it’s brand in May 2017 starting with a partnership with Twitter India simultaneously spreading over to almost all social media platforms. Gradually it rose to existence and got featured in the most prestigious Business Magazine FORBES INDIA for the unique and distinguished content and approach of the Web Channel. 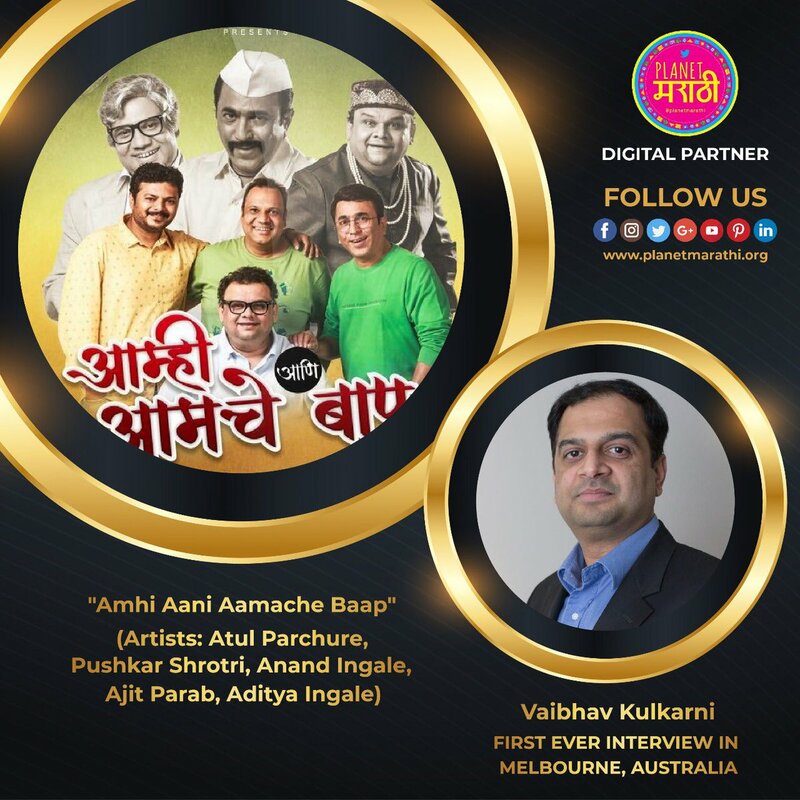 With a different kind of genre, Planet Marathi started with talk shows and interviews like LAI BHAARI WITH AMIT BHANDARI, #FACES, etc along with Digital Promotions & launches of Marathi Movies. In very shorter span, PlanetMarathi did exclusive Live Streaming of special events like Ganpati Puja from Chief Minister’s residence and LalBaugcha Raja which added more feathers to its crown. Planet Marathi has crossed the borders of state, nation and continents to reach wider Marathi speaking audience through its broad social network of more than 1.5 lakhs followers. The aim is to reach the Marathi viewership which is almost 70 million on web in world out of which Maharashtra alone has 21 million Marathi Internet users which in itself a gigantic number. When the Hon. Chief Minister of Maharashtra, Shri. Devendra Fadnavis quoted recently that,“Planet Marathi had successfully penetrated Marathi minds” by this he reckoned that the digital platform had indeed made a difference in helping Marathi enter the Digital World strongly. PLANET MARATHI stands out today in the world of Marathi Media & Entertainment and strives to touch the higher horizons of digitization by empowering people with all kind of information & entertainment of Maharashtra.